Burberry Sport Ice for Women is inspired by the British landscape & brand tradition. Burberry Sport Ice for Women Eau De Toilette 75ml. is inspired by the British landscape and brand tradition. Perfume perfectly captures the energy and the naturalness of the landscape. The Sport Ice Woman will appreciate the modern and dynamic women who are active and at the same time very sensual. Immediately at the very beginning of the Burberry Sport Ice Woman perfume you will be captivated by fresh chandelier tones, unique water tones and warm ginger. Intense magnolia and captivating honeysuckle bloom in the heart. The essence of the fragrance is dominated by cedar wood and precious pure musk. 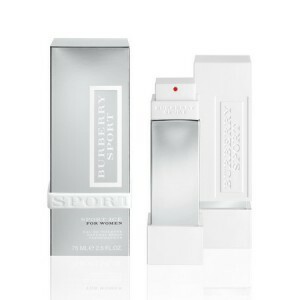 This luxurious ladies' perfume from the famous Burberry brand can be used for sports and work. Burberry Sport Ice Woman is an incredibly emotive, fresh and pure lady's scent that evokes memories of the sea and reflects a sense of naturalness.